On May 1 1989, Like A Prayer spent its second week at #1 on the Canadian Top 100 Singles chart published by RPM magazine. 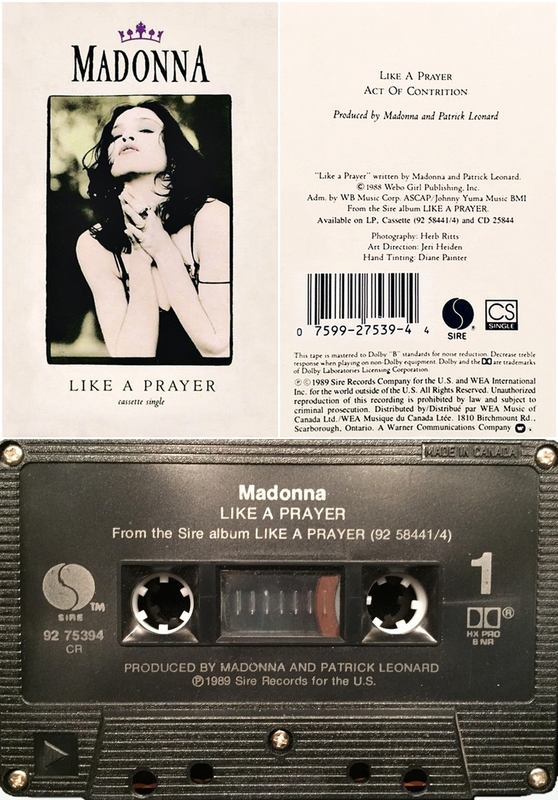 The Like A Prayer single would spend four consecutive weeks in the top spot, becoming Madonna’s longest-running #1 on the Canadian Top 100 Singles chart until 1994 when I’ll Remember spent five consecutive weeks at #1. 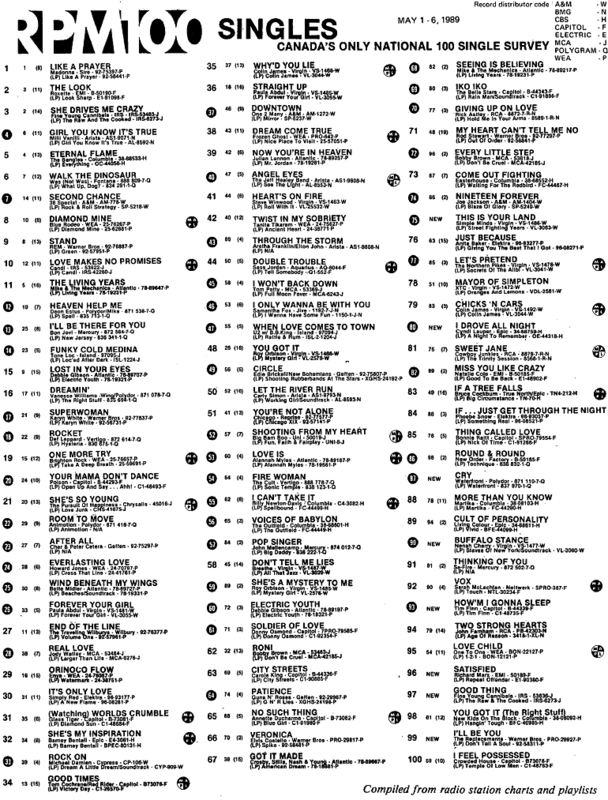 On April 15 1989, Madonna’s Like A Prayer became the number one dance single on the Billboard Hot Dance Club Play chart. 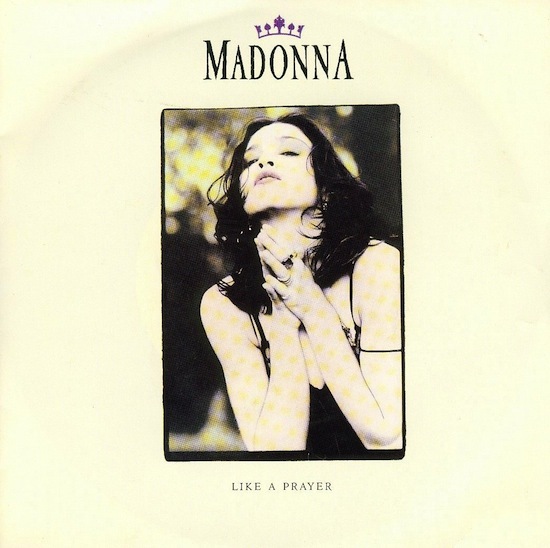 Like A Prayer remained number one for the week of April 22. On March 3 1989, Madonna’s Like A Prayer single was released. On February 4 2018, Vulture.com reviewed every Super Bowl Halftime Show since 1993, and ranked them from worst to best. Madonna’s 2012 Super Bowl Halftime performance ranked #2, behind Prince’s 2007 performance. A year after the halftime show embraced its pop sensibilities with the Black-Eyed Peas, Madonna arrived as a Greek goddess on a giant litter carried by a legion of Spartan soldiers, showing all the kids exactly how it’s done. There was so much on the LED-lit stage at any given time: From the swirling dancers and the gospel choir to the slack-line performer, it was almost too much. Madonna offered new arrangements of her old songs, like a drum-corps version of “Open Your Heart” sung with Cee Lo Green and an LMFAO mashup of “Music” with “Party Rock Anthem.” While she loses points for devoting significant time to the lackluster single “Give Me All Your Luvin,” at least that featured Nicki Minaj and a bird-flipping MIA. Madonna successfully moved through several modes in rapid succession, collaborated with other big artists, and made it all look effortless, as if being at the swirling center of 200 performers is what she does every Tuesday. Maybe because it is. What do you think of the results of the poll?